Learn more about legal forms Rocket Lawyer offers your business online. Includes info on Rocket Lawyer, free trials, pricing, customer reviews, and FAQs. 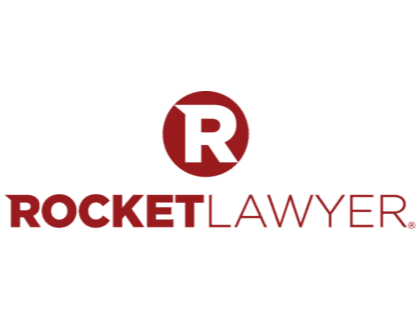 Rocket Lawyer is a provider of online legal services such as legal forms and documents, as well as incorporation, estate plans and legal health diagnostics. Rocket Lawyer also provides attorneys that your business can consult with remotely. Affordable Business Incorporation Filing for Non-Members. Pros: Saves your business legal costs, and assists to simplify legal matters. Cons: Even if you pay for membership, you could still need to spend on additional legal expenses. Bottomline: In some instances Rocket Lawyer could be of value to your business, but do your homework first. What is Rocket Lawyer's price range? Rocket Lawyer will cost your business between $9.99 and $149.99 to start with. Is there a Rocket Lawyer free trial? Yes. Rocket Lawyer offers 7-day free trials that can be accessed on their pricing page. After your trial, you qualify to become a Premium Member at $39.00 per month. Premium Membership gives you access to most of Rocket Lawyer's services for free. Where can I find the Rocket Lawyer login? Visit www.rocketlawyer.com and log into your account at the top right of the page. What are some Rocket Lawyer alternatives? If you have a very generic and plain situation, then a Rocket Lawyer-type service will probably be alright. And 80% of the time that's the case. But that other 20% of the time it doesn't fit the bill.The problem is that the average person has no clue if they're in the 80% or the 20%. That's what lawyers know. So if you roll the dice, just know there's a decent chance you could be OK, and a minor chance you could be screwed. But man, if you get screwed over it could cost you way more than paying someone to do it right up front. Someone said they fix what Rocket Lawyer broke for their clients. That's probably true. But he'll fix what Rocket Lawyer broke in maybe 5% of cases. The other 95% companies will fail, or be so insignificant, that it won't matter. I'm part of a team of eight lawyers and engineers building a legal automation platform for startups (as you can tell by the /u/ name, called Paper), because we're sick of seeing startups with garbage legal work from Legalzoom, Rocket Lawyer, etc. You're getting the same documents as the landscaper, the barber, and the construction company. But startups have far different needs than traditional low-growth companies.